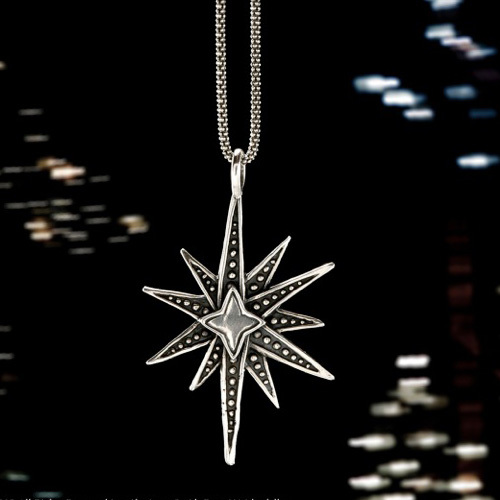 STORY: Inspired by the many faceted meanings inherent in the star. The poem engraved on the back inspired from a poem by Rudolf Steiner, set design by Alexander McQueen, and the beautiful tin star lamps which illuminate the ceilings of old Santa Fe. Sterling Silver Pendant 2.5 “ Wide By 1.5” long with a 18” Sterling Silver Chain. I simply want to say I am just new to blogs and certainly liked this web-site. Most likely I’m planning to bookmark your website . You amazingly have great articles and reviews. Cheers for sharing your blog site. tsMzfg Hi there, You have performed an incredible job. I’ll definitely digg it and personally recommend to my friends. I’m sure they will be benefited from this website. Hey, you used to write wonderful, but the last few posts have been kinda boringС‚РђР¶ I miss your great writings. Past few posts are just a little bit out of track! come on!